My wife is my toughest critic (other than Blue Virginia, maybe), and she suggested that I need to freshen up the Bacon’s Rebellion header. A lithograph of Nathaniel Bacon and his fellow rebels burning down Jamestown in 1676, she contended, doesn’t jive with the tagline, “Reinventing Virginia for the 21st Century.” After hemming and hawing for a few months, I finally decided she was right. So… I have replaced the old Nathaniel Bacon header with rotating images from around Virginia. They include Back Bay, the Blue Ridge mountains, the Richmond skyline, the Tysons skyline, the Norfolk Naval Base, Monticello, and the Virginia capitol building. If you have better versions of the images I’ve got in the rotation list (a couple of them could be sharper), by all means, let’s see them! I like the last solar-farm pick you sent. I’ve added it to the rotation. Yes, I prefer that one too. Couldn’t post a .jpeg or .png image (which the best examples were) as opposed to the .jpg above. But this is what the Virginia countryside increasingly looks like. Acbar, if I were a suspicious rascal, I would have earlier suspected that eventually you’d lure poor, unsuspecting Jim up to flashing a horrible solar panel farm photo up on screen simply to enrage your fellow Bacon-naughts. But I underestimated you. Took ’bout five minutes. Now, wait till they engulf your neck of the tidewater, along with the Governor’s ancestral tidal homelands. Jim, I hope this be an unsuccessful experiment. I cannot tell a lie; I was even thinking of our fellow Bacon-nauts (in the common-voyage not zero-sum sense) and the occasional collective interest here in energy issues. But the fact is, Virginia, the home of the Colonies’ first profitable farm product, now has found another. It may not be as pretty as tobacco but at least this one isn’t a known cause of lung cancer. Solar farms already have quite a foothold in Gloucester County, and there’s talk of a big one in Mathews. Not along the waterfront of course (too valuable) but inland, yes. Mathews has a huge desert-like area in its center consisting mostly of abandoned gravel pits and fields of cut-over scrub timber, many of them owned by a local hunt club; the club’s members are heatedly debating how to get some of that electricity revenue without creating a safe haven under the collectors for the deer and turkey in season. Maybe they will install bullet-proof panels. Acbar – My post in archives was a prognosis not a preference. I’ take gravel pits and fields of cut over timber over steel and glass panels every day of the week. The former are alive with god’s creatures, not covered with steel and glass. 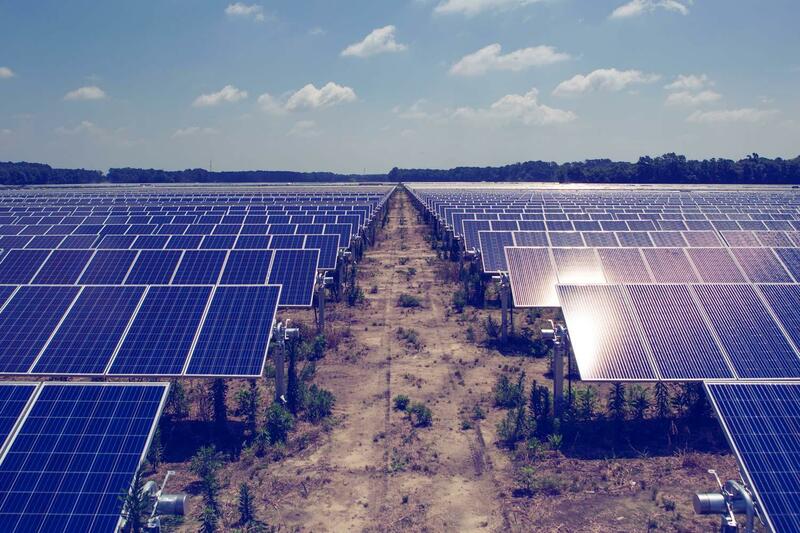 I like it too especially since Spotsylvania just approved the S-Power solar farm – the largest in the East at this point! Approved — really? What concessions (“proffers”) did they have to make? over 100 conditions………. in direct response to the opponents – but approved basically intact. NIMBY lost. As to the visual refresh option, I must say I am torn. These photos are slick and effective, but how long can they last, and we don’t want to slide into “the tourist stop look” by virtue of inattention. Meanwhile the historic Bacon Rebellion art gone before captured the spirit of this blog quite well in unique way, and it reinvigorated and “refreshed” a nearly lost, but important part, of American history. I’d hate to lose it. Might we have the slick refresh view intermittently, to the mutual advantage of both views, so we take neither for granted? I agree, the events of 1676 should not be neglected here. The governor, Sir William Berkeley, persauded the General Assembly to adopt a plan that isolated the Susquehannocks while bringing in Indian allies on Virginia’s side. Others saw in the Susquehannock War an opportunity for a general Indian war that would yield Indian slaves and lands, and would give vent to popular anti-Indian sentiment. They found a leader in Nathaniel Bacon, a recent arrival to Virginia and a member of the governor’s Council. Bacon demanded a commission to fight the Indians; when none was forthcoming, he led “volunteers” against some of Virginia’s closest Indian allies. Robert Beverley is unreliable, a man of great and deep bias. His ilk, the British and early Tories, had an excuse for everything on this side of the Atlantic. In fact, as Acbar hints, the events of 1676 were the high water mark of civil rights in Virginia, from 1607 through modern times. As regards Datura Stramonium, it was an ancient military strategy of Virginia’s indigenous peoples, first deployed against the early Greeks. You might want to double check that with Don, our resident expert. I don’t know,Jim, but with respect, I like the old logo better. You know the cartoon drawing of a bunch of grizzly, frumpy old white male farts. Really hits the mark. “My wife is my toughest critic (other than Blue Virginia, maybe)” – Um, pal? If she’s even CLOSE, you need to work on your marriage!